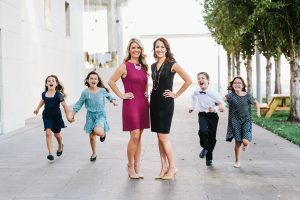 Montage Legal Group started almost 10 years ago with lawyer-moms in mind. We are lawyer-moms ourselves, after all. We had no idea that we would strike a chord with so many other lawyer-moms across the country. We were thrilled when freelance journalist, Angela Morris, decided to write an article for Law.com, featuring Montage Legal Group. Angela’s article, ‘Extreme Part-Time’ Lawyer-Moms Flock to Freelance Firms, discusses so-called “accordion law firms” like Montage, and states that “they have become particularly popular with lawyer moms who want to dramatically reduce their hours after they give birth, but who also want to stay in the legal game.” Angela also discusses why women lawyers don’t always want to request to go part-time due to the dreaded “schedule creep,” and why many prefer to freelance instead. Thank you, Angela, for featuring Montage Legal Group, legal freelancing, and accordion law companies. We remain committed to assisting attorneys seeking flexible legal projects to balance with their lives. Read the full article here by subscribing to Law.com, and follow Angela Morris on twitter here: @AMorrisReports.